Lightning does strike twice in the same place. Jamaica’s Usain Bolt ran 19.30 sec in the men’s 200m finals to take gold in both the sprints in which he set the games and world records. The 21-year-old, who won the 100m title in a world record of 9.69 secs, powered past the field to cross the line and smash Michael Johnson’s mark of 19.32. Churandy Martina of Netherlands Antilles took silver with defending champion American Shawn Crawford third. Great Britain’s Christian Malcolm clocked 20.40 secs for sixth place. American Wallace Spearmon had crossed the line in the bronze medal position but was later disqualified for stepping out of his lane. 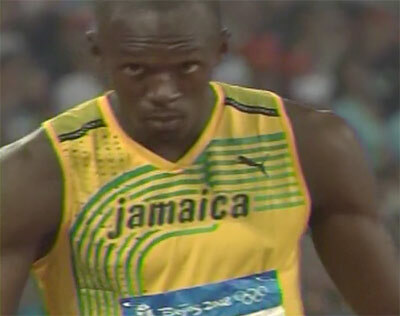 Bolt told the BBC after his sensational win: “It’s great. I have a great feeling. What do you think of Jamaican athletes’ perfromances at the Olympics? Add your comments.